Perhaps you’ve heard of it, or maybe not. But if you’ve been following the IoT trend like I have, you’ll hear its praise there. Deep learning is a branch of machine learning, and the one you can thank for improved voice search on smartphones and better image recognition across the internet. The concept is based on a set of algorithms that attempt to model high level abstractions in data by using a deep graph with multiple processing layers composed of multiple linear and non-linear transformations. The best graphic depiction can be seen at right, in this chart from Wikipedia. And now, the definition in plain English. The result of applied deep learning is massive amounts of computational power, giving machines the ability to recognize objects and translate speech in real-time. When applied online, the software attempts to mimic the activity in layers of neurons on the neocortex and make data processing better. It provides real-time predictions within a few seconds, and does so by feeding in a raw file and passing it through the deep neural network to obtain the predication. By doing so, data scientists are able to use these predictions. So, as an IT professional, you’re probably wondering why this complex topic is relevant. Deep learning is all about doing things better and more quickly. And, as we all know, our interaction with data is constant, more constant in fact that way we even realize or be able to handle. 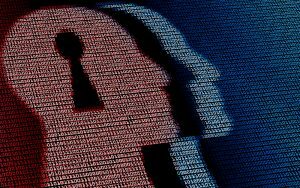 From this perspective, deep learning attempts to improve cyber security. It can be used to interpret data faster by identifying patterns, and for prevention of malicious files. Once something has been deeply learned by a machine, that machine becomes more intelligent and is able to apply their learning to new objects, or even learned objects that have become distorted. 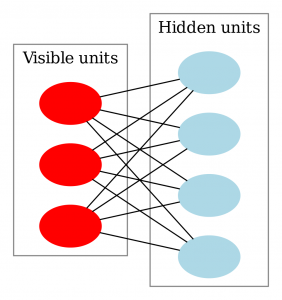 The possibilities of deep learning seem endless, and could eventually lead to unsupervised machine learning, which deals with the majority of data, unlabeled. But, is deep learning all it’s cracked up to be? The concept already has some critics, of course. If deep learning is as smart as they say it is, it should be secure. Should be. My point is, as new innovations are being developed and tested, their security must be developed and tested as well. To fix these problems before they are integrated into our everyday machine learning would be ideal. But we need more professionals, like yourselves, who put cyber security at the forefront of innovation. As we’ve already seen with IoT, in which devices use aspects of deep learning, security is minimal. That is an entire blog topic in its own rite. So, let’s not make the same mistakes here. I suggest reading this post “Examining the IoT from a Cyber Security Point of View” for more on that point. Professionals with a knowledge of both cyber security and deep learning, IoT, and artificial intelligence, are quite possibly the most sought after in the market. And, as I have said, it may take years for deep learning to truly come to fruition, but in the meantime, prepare yourselves. And, if you don’t know where exactly to start, browse the Cybrary skill catalog catalog. Familiarize yourself with topics such as Fundamental Endpoint Security or Cloud Fundamentals. Do some deep learning yourself, and get certified.